Despite what my absence indicates I have not been struggling with writers block, in fact I focused all my writing energy into writing my book. So why the post on writer’s block? Well my friend asked me about it the other day and it gave me the answer to this post. 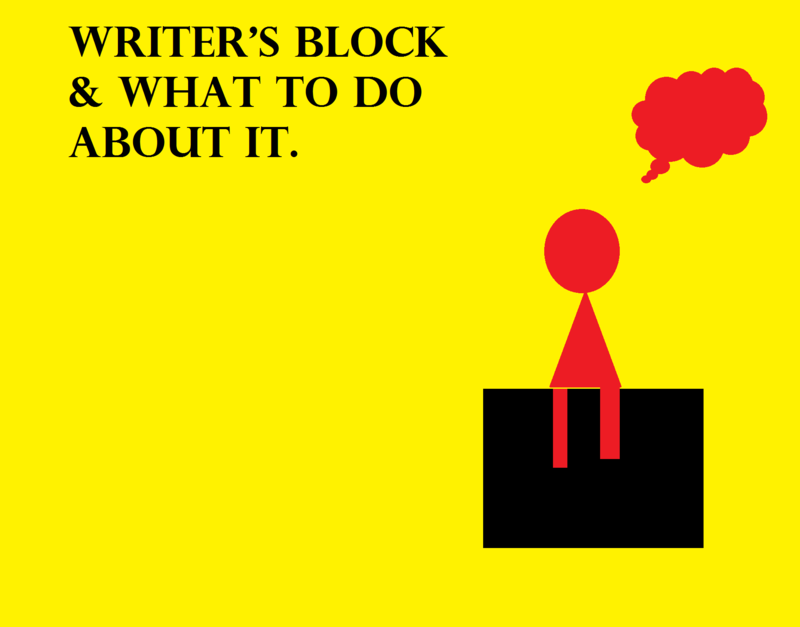 What does writers block mean to you? To some people it means sitting in front of the keyboard slamming their head into the desk. Writers block can spawn from anything from the inability to write a scene to the fear that your writing is bad. Some people claim that writer’s block is when you get lazy but I don’t think this is always true. To beat writers block take a step away from the desk and go live a little. Maybe make a few plans for this weekend. Things to do to beat writers block, that is not writing. • Go jogging or do some other form of exercise. • Try doing a DIY project or start a new hobby. • Spend some time stalking your favorite actor on the internet. Live your life but be careful not to start procrastinating. The best cure for writers block is writing so the problem is when you are in the wrong mindset. Here I have the top 4 reasons for writer’s block and how to beat them. 1. Fear of being terrible. At some point each and every one of us realizes that our writing isn’t really all that great. This is normally somewhere in the middle of your project or book. Just remember that you can edit a rough, terrible draft into something amazing but you can’t do that with an empty page. No matter how bad your writing is push through the bad pieces even if that means taking half an hour for every word you write, you’ll learn more that way. 2. Being scared people won’t love it. This is not the same as being afraid it’s bad, this is being afraid of rejection. If you think you struggle with this I what you should do is go sit in a room alone and close the door. Forget about other people’s ideas for your work and just write what you want to, others may not like it in the end but I guarantee you will. 3. Unable to write a specific scene. Perhaps you got stuck at a scene because you’re simply unsure what should happen in it or where it should take place. The answer her is write something else. Perhaps you might want to write a scene that you do know what happens in, perhaps your ending or something like that. You can write poetry if you’ll like. Then if you think you’re ready come back to that scene. 4. Waiting for the perfect conditions to write. I’m telling you this strait, no great author ever writes in the perfect conditions. You can try setting up the conditions in way’s such as cleaning your desk or playing some music but if you put too much effort into it you will never write a single word. Just sit down and write. Please let me know if this was helpful or not.